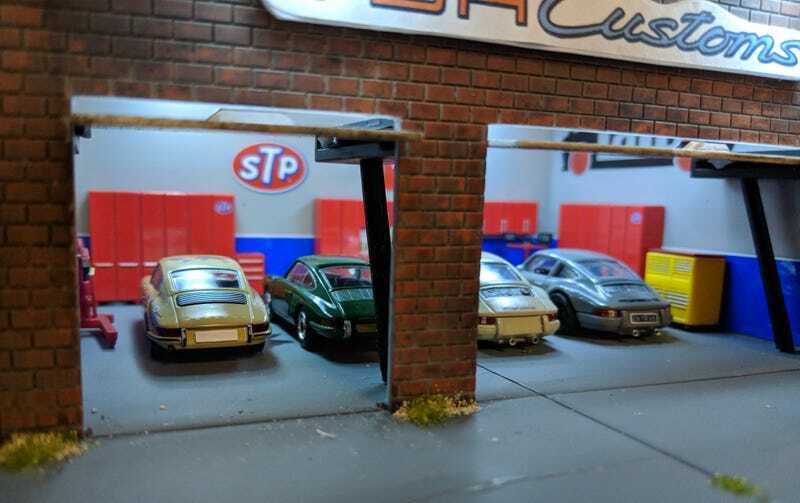 Jobjoris posted a post on photo posting app Instagram recently, comparing a Minichamps 1:64 997 to a TLV 1:64 911S, remarking why the Minichmaps didn’t appear to be way bigger than the TLV, since the early Neunelfers were indeed a ton smaller in stature than the modern Porkers. Pun fully intended. We then decided that it would be interesting to also compare the 1:64 Spark 901 to the TLV 911S, which you will see below. Aside from the fact that the TLV is miles better in fit and finish, size-wise the TLV is slightly larger as well. I love both those little guys, but the TLV is a special model to me. It’s my only TLV, and with TLV 911 prices being what they are, will likely stay that way for a while. It was also a gift from the homie plasticprints, for which I am still extremely grateful. Anyway, do with the size info what you want, and enjoy the rest of your Tuesday!